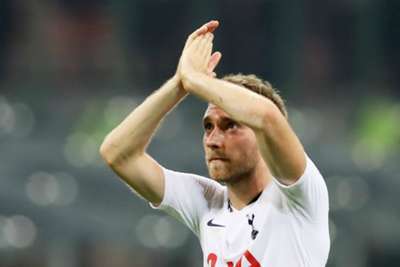 Mauricio Pochettino is ready to welcome Christian Eriksen back to the Tottenham team but will make a late call on his availability to play West Ham. Eriksen has missed Tottenham's last four matches with an abdominal issue that Denmark coach Age Hareide suggested could be a "chronic" injury. Those comments were denied by Eriksen's agent Martin Schoots, though, who suggested Hareide's words were lost in translation. And Pochettino indicated Tottenham have no long-standing concerns over the playmaker's fitness. "I think Christian's agent explained fantastic after the comment of the Denmark manager," he told a news conference on Thursday. "I think everyone can give their opinion and there's nothing to say about that. "Christian is ready again to compete and play. But it's our decision if he's going to play on Saturday or not, from the beginning or from the bench, because that's a decision I'm going to take tomorrow. "But I think there's nothing to say about the comment of the Denmark manager." Saturday's trip to London Stadium kicks off a busy period for Spurs, who face PSV in the Champions League next week before hosting Manchester City. And Pochettino said the international break came at a good time for his squad, although England internationals Dele Alli and Danny Rose will not be ready to face the Hammers. "It was a good time for us because we are going to recover a few players like Christian and Mousa Dembele," Pochettino continued. "Still maybe 10 days more for Dele Alli and Danny Rose is the same, one week more. Jan Vertonghen is a little bit longer. But the most important thing is that we start to recover players. It will be a tough month of competition for us. "There are a lot of games ahead and it's so important to have nearly all the squad fit to compete and play and to give options to rotate and share the games because it will be tough, the months we have ahead. "We have seven games in one month, in four weeks, and it's so important to have all fit to compete and to give the level that we want."